| Inner Circle Training partners with Kawasaki KRTS and Robinsons of Rochdale! Home > News > Inner Circle Training partners with Kawasaki KRTS and Robinsons of Rochdale! Learn to ride a motorcycle with Inner Circle Training, Stockport, the most recent signing to Kawasaki Riding Training Services. Part of a network of schools and approved training bodies offering professional rider training to industry leading and MCIAC (The Motorcycle Industry Accreditation Centre) endorsed standards, Inner Circle Training was the first motorcycle training school in the North West to become accredited by the MCIAC. Customers will learn to ride on new, well-maintained Kawasaki machinery. Paul Beattie, Director and Chief Instructor of Inner Circle Training said: “Inner Circle Training is delighted to now become part of the Kawasaki Rider Training Scheme (KRTS). MCIAC accreditation has allowed us to demonstrate our professionalism and high standards of customer service, which Kawasaki recognize as being key to ensuring new riders have the very best opportunity to develop the skills necessary to safely enjoy all that motorcycling has to offer. 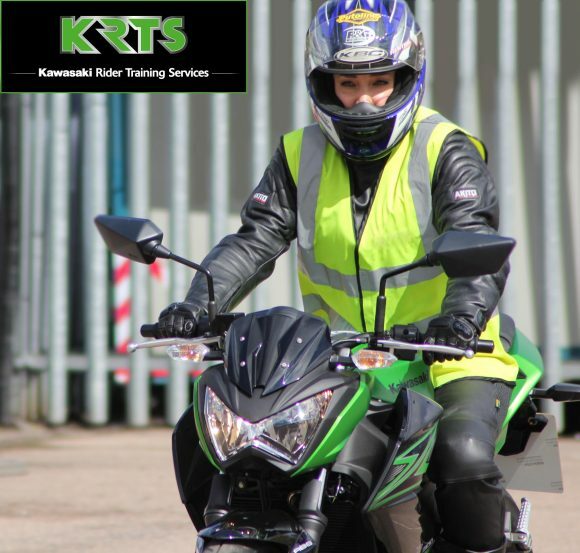 As part of the KRTS, we have chosen to partner with Robinsons of Rochdale under the Kawasaki Rider Training Scheme to enable us to offer training using Kawasaki’s excellent range of motorcycles including the all-new z650 which is perfect for new riders looking to obtain their full licence. Whether you’re returning to two wheels or starting afresh, there’s a course designed for you. Those who complete a CBT, Kawasaki Licence Upgrade Course, Kawasaki Bespoke Rider Training Services or a Kawasaki Rider Training Licence Course are eligible for a £100 voucher towards a new Kawasaki machine or a £50 voucher off a used machine.